He didn't realise this photo would later be used as evidence in court. Move outta the way girls, its MY time to shine. 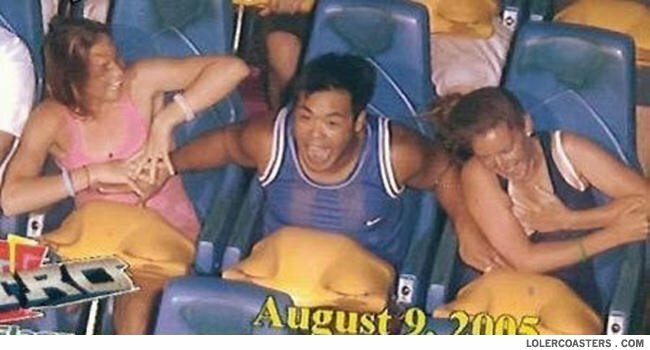 Both the girls' boyfriends were waiting for him as he got off the ride. Suffice to say, he can no longer grab things.